You can raise borrower defense claims (also known as “defense to repayment” or “DTR”) whether or not you are in default on the loans. If your borrower defense application is successful, the government will forgive/cancel all or part of your outstanding federal student loan debt and you also may be reimbursed for amounts you have already paid on those loans. Although borrowers have long had the right to raise school-related defenses to repayment, the Department only recently began creating a borrower defense to repayment process. The Department issued final rules on November 1, 2016 that were supposed to go into effect July 1, 2017. However, an industry trade group sued to delay implementation of these rules. The Department subsequently announced a postponement of the July 1 effective date. In October 2017, the Department announced another delay. The Project on Predatory Student Lending and Public Citizen sued the government to stop the delay. In October 2018, a judge agreed that the delay was illegal and as a result, the rules took effect on October 16, 2018. In March 2019, the Department announced that the final rules from November 2016 will be applied for borrower defense claims asserted as to loans first disbursed on or after July 1, 2017. Under the rules now in effect, FFEL and Perkins borrowers willing and able to consolidate into Direct consolidation loans may use the Direct Loan borrower defense process to seek relief, even before consolidating. These borrowers may want to do this because under current law, Direct consolidation loans are eligible for borrower defense relief. This could change if the rules change in the future. For this reason, FFEL or Perkins borrowers may want to apply for borrower defense relief before consolidating. The Department is supposed to provide a pre-determination in these circumstances of borrowers’ eligibility for relief. However, it is not clear if this is happening. Stay tuned and check the Department’s website on borrower defense for current information about seeking relief from the Department. Perkins and FFEL borrowers should also understand that the date of the consolidation may affect the scope of available relief. Unless you fit into one of the categories described below for certain Corinthian or ACI students, as of February 2017 the Department requires borrowers to use a borrower defense application form. You can complete the online application form or a fillable PDF application form. Information on what to include in your borrower defense application is available on-line and on the application form. 1. Process for Some Former Corinthian Borrowers. The Department created a streamlined process and has provided specific information for some former Corinthian school borrowers. Whether you can use this streamlined process depends on when you attended the school. Complete the fillable PDF attestation form, print it, and sign it (view a nonfillable HTML version of the attestation form here), and send your completed form to ED by email to BorrowerDefense@ed.gov or by regular mail to U.S. Department of Education – Borrower Defense to Repayment, P.O. Box 1854, Monticello, KY 42633. Other Corinthian Borrowers: Corinthian borrowers who enrolled outside of the program dates listed in the above charts can apply for borrower defense relief using the general application and process available to all student loan borrowers. 2. Automatic Group Relief for American Career Institute Borrowers. In January 2017, the Department announced plans to grant borrower defense relief for federal student loan borrowers who attended the now-defunct American Career Institute (ACI) in Massachusetts. Federal student loans taken out to attend ACI should be automatically discharged without requiring students to submit applications. This move follows the Department’s investigation as well as numerous admissions by the school that it made false and misleading representations to students, misstated job placement rates and employed instructors who were unauthorized to teach under applicable state laws. Borrowers who submit complete borrower defense claims can choose to have their Direct loans and Department held FFEL loans placed into forbearance or stopped collections. According to the Department, for borrowers who are in default, “…stopping collections means that the government will stop attempting to collect on the loan, including by not withholding money from wages or income tax refunds. This will continue until the borrower defense review process of your application is completed. ” If you previously defaulted on your federal student loan(s) and have entered a rehabilitation plan, the Department advises you to contact the collection agency you have been working with to help you determine whether there may be any negative consequences if you choose to enter stopped collections status. Initially, if you choose forbearance or stopped collection, it will affect all of your federal student loans owned by the Department, including loans that are not eligible for borrower defense cancellation. You can, however, request that the forbearance apply only to those loans related to the borrower defense application. You can remove the forbearance or stopped collection status if you choose. This is an individualized decision, but you should take into account that interest continues to accrue during the forbearance period, including for subsidized loans. The Department advises borrowers that if your application for borrower defense is denied or partially approved, then when you are taken out of forbearance or stopped collections, the interest that accumulated will be added to the amount you owed when you entered forbearance or stopped collections, and the total amount you owe in the future may be higher. Where can I file a complaint about a servicer? If you request forbearance and you have guaranteed (FFEL) loans that are not held by the Department, the Department must request forbearance on your behalf. The Department issued guidance about FFEL forbearances in January 2017. The Department clarified in August 2017 that the forbearance or suspension of collection activity should begin on the date that the loan holder or guaranty agency receives notice from the Department that the borrower has submitted a DTR application. It is not clear if the Department is promptly notifying servicers or loan holders that a borrower has submitted a borrower defense application and should be placed in requested forbearances or stopped collections or if servicers are correctly and promptly processing these requests. You should not assume that your account is in forbearance or stopped collections after applying for borrower defense. Be sure to check with your servicer. To help avoid an unnecessary tax refund offset, borrowers with defaulted loans may want to confirm that they are in stopped collection status by calling the Default Resolution Group at 1-800-621-3115 before filing their taxes. You should also consider calling the I.R.S. at 1-800-304-3107 to get more information about whether your loan is certified for offset. In 2018, a federal district court preliminarily prevented the Department from collecting on Direct Loans held by certain Corinthian borrowers. The lawsuit, Manriquez v. Devos, is a national class action brought by four borrowers against the Department of Education for illegally and unfairly denying relief to tens of thousands of former Corinthian students whom the Department of Education determined are entitled to have their loans discharged and their loan payments refunded. These borrowers are represented by the Project on Predatory Student lending and the Housing and Economic Rights Advocates (HERA). You can use this tool to find out if you are a class member. The government still needs to clarify whether amounts forgiven through this process will be potentially taxable. 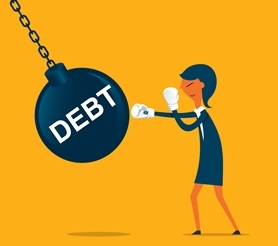 There is clarity for borrowers from a few schools: The Department of Treasury has issued a ruling that discharges of debts for Corinthian borrowers and of American Career Institute (ACI) borrowers will not be considered taxable income. In July 2018, the Department of Treasury (I.R.S.) issued a ruling extending the 2015 relief for Corinthian and ACI federal student loan borrowers to Corinthian and ACI private student loan borrowers. If you have questions about borrower defense, you may call the Department’s borrower defense hotline: (855) 279-6207. Representatives are available Monday through Friday from 8:00 a.m. to 8:00 p.m. Eastern time. According to the Department, if you received an email from a noreply@studentloans.gov email address with the term “Borrower Defense Claim” in the subject line, it is an official U.S. Department of Education (ED) communication that relates to a full or partial approval of your borrower defense to repayment application. The Department says it will follow up with more information or you may hear from your loan servicer with more information.